No-name covers look better than they really are. I recently reviewed the Cover Blubber , a stretchy bowl cover. And that made me think of the reviews I did of three other brands of bowl covers. Maybe it's time for a re-review of these, since some time has passed. It all started with some stretchy bowl covers that I saw on a Made-for-TV commercial, but when I went looking for them online, I couldn't find them anywhere. And I wasn't about to call and order by phone. So I went searching for similar covers - to me, it made sense to have reusable covers for bowls - particularly my stand mixer bowl. I get tired of using plastic wrap to cover it every time I make bread and leave the dough rising in that bowl. I found some unbranded lids on Amazon, but got frustrated pretty quickly. The description said the lids would stretch to fit different-sized bowls, but trying to get the largest size onto my stand mixer bowl was like trying to put a queen-sized bedsheet on a king-size bed, and the cover wasn't all that much smaller than the bowl. It should have fit. When I finally wrangled the cover in place, it wanted to slip off. While I was finally able to get the cover on and it held on fairly well, it was the opposite of easy. I wanted easy. The covers were okay for other bowls that were smaller, but the range of good fit wasn't quite as wide as I hoped. If the bowl is slightly too large, it's too hard to get the cover on. If the bowl is slightly too small, the covers don't grab at all. I do have a few bowls they fit well, so I still use them once in a while. I wouldn't buy them again, though. I also tried Norpro's bowl covers , which are stretchy silicone squares rather than fitted round covers. I liked these a lot better than the no-name covers. I was able to cover my mixer bowl, and it held tight as long as the square and bowl were relatively clean and dry. A little flour or oil on the outside or rim of the bowl made things less stick-able, but not terrible. The downside was that when I tried to cover a square pan with pointy corners, the sharp corner damaged the silicone square and the next time I tried to stretch it over a bowl, it tore. Since the tear was at the edge of the square, it's still perfectly usable, but now I know that it's a little fragile, and I should only use it on pans with rounded corners. Since these don't need to fit a bowl of a specific size, they're really versatile, and they stretch a lot, and they cling pretty well. And, since they're not fitted, you can cover square or odd-shaped bowls just as easily as you can cover round bowls. 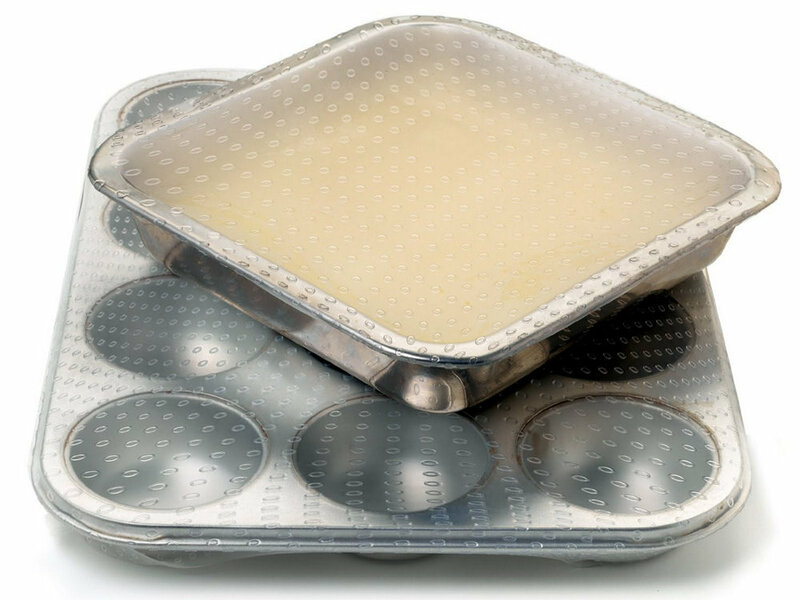 I'd love it if I could find them in an even larger size to fit things like muffin pans or other big baking pans. I'd love them even more if they weren't as delicate. 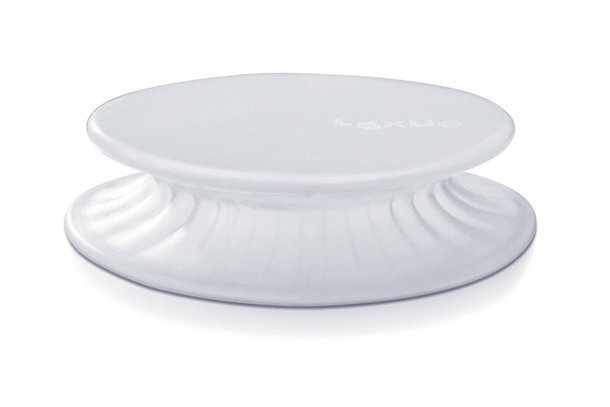 I decided to try one more product with a different design, and that was the odd-looking stretch cover from Lekue. I hesitated on this one because of the price, but decided to give it a go, anyway. And, good thing I did, since the 10.2-inch lid is perfect for my stand mixer bowl. And that was my primary concern. Look how well it holds on, despite the expanding gas. The odd shape means that it holds onto the bowl because of the design as well as the tackiness of the silicone. So a little bit of flour or water on the bowl edge isn't as much of a concern with these covers as with others. The downside is that it's not going to fit absolutely every bowl you own, but it does fit a range of sizes - the one that fits my stand mixer bowl also works well with several smaller mixing bowls I have, like the one at the right. But there's a point where the cover is too floppy to cling. It covers the bowl, but it's not snug enough to seal. Which is fine, if I'm just covering the bowl to keep out flying things. You know, like flour. The Lekue covers come in a variety of sizes, from the 10.2 that fits my stand mixer bowl, all the way down to a 3.3 inch size, so you can cover a pretty wide range of bowl sizes with a few sizes of covers. And they come in a couple different colors, if that matters. Since I first wrote about these covers, I purchased one more large one and a slightly smaller one, for smaller bowls. I use them regularly, particularly the large one that fits my mixer bowl. Allegedly, you can use these to cover a melon or a cut orange or whatever, but I was mostly interested in having flexible bowl covers. 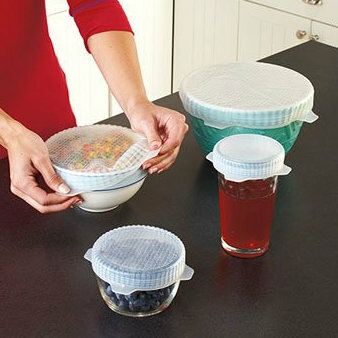 Out of the three of these, I wouldn't recommend the no-name covers at all, unless you happened to have bowls that are exactly the right size for the covers to fit. Otherwise, forget it. The Lekue covers are my clear favorites, despite the higher price compared to the others, since I"m getting so much more use out of them. I've been using these covers for quite some time and they're holding up really well. I expect to get a lot more use from them. The Norpro covers are good, and less expensive than the Lekue. If they fit your needs - or your square bowls - they're a good buy. Since the silicon sticks to itself, you could also use these squares to wrap things - I'm not sure what, but it's an option, if you need it. Source: I purchased all of these covers. Cover Blubber - before it's on the bowl. I saw the Cover Blubber in a nearby kitchenwares store. Almost bought it. Didn't buy it. Regretted not buying it. Looked it up on Amazon and put it into my cart. Then I thought, eh, I'll send an email to the company and see if they'd be interested in a review. You see, I'm always looking for options for covering mixing bowls securely. Sure, there's plastic wrap. But I hate using something for a short time and throwing it away. Stretching to cover the bowl. I'm particularly interested in covers that fit my stand mixer bowl, and particularly for the times I have dough rising in the bowl. The nice folks who make the Cover Blubber send me two different covers. One small(ish), and one really small. Neither would stretch to fit the stand mixer bowl, but that's fine. I figured that if I loved it, I'd buy more. It can stretch a lot more. I emailed them and asked for the dimensions on the largest cover, just to see if it would in fact fit my stand mixer bowl, and said that rising dough was one of my tests of stretchy bowl covers, since the expanding gasses inside the bowl need to be contained. And they said, well, we really don't recommend that. Our covers are meant for use in the refrigerator and freezer. After reading a little more (seriously, they're bowl covers ... how much instruction should there be?) the instructions said that you shouldn't leave the covers on anything at room temperature for more than three days. Warmth was to be avoided. So there's no way I could use these for allowing dough to rise in my bread proofer, and probably not on the counter on a regular basis. Bummer. So, I tried them in the refrigerator, to cover some cucumbers I was marinating. I like the stretchiness and the weird feel of the rubbery cover and I liked the colors. I slipped the cover onto the bowl and it slipped off. Oops, the bowl was a little wet on the outside. I wiped the spillage off of the bowl and off of the cover, and put it back on the bowl. This time it stayed just fine. When I took the bowl out of the refrigerator to stir the ingredients, condensation appeared on the outside of the bowl ... and again, the cover didn't stay on the bowl. I wanted to like these. I really did. And I sort of do like them, but I'm not fond of the limited-use aspect. Most things that I keep in the refrigerator or freezer are in storage containers that have their own lids. Once in a while, I have something in a metal mixing bowl that needs to be refrigerated for a short time, and these work fine for that purpose, unless I need to remove the cover and put it back on again and condensation occurs. 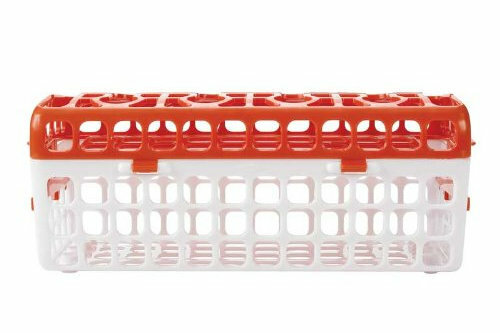 Who's it for: These would probably be fine for folks who want to cover cut fruits, vegetables, and random bowls of stuff for cold storage and aren't concerned about warm storage. Pros: Colors are bright and they grab well if the outside surface of the bowl (or whatever) is dry. These stretch a LOT, which is great. Cons: Not dishwasher safe; shouldn't be used for covering things long-term at room temp or warmer. You'll find my recipes over on my food blog, COOKISTRY, beginning with Coffee Ice Cream on Monday. If you like coffee, you'll love this ice cream. Not so fond of coffee? No problem, there will be ice cream ALL DARNED WEEK on Cookistry. The contest will be live through the end of the month, and there will be new recipes from bloggers every day - Monday through Saturday - so if you're looking for ideas for ice cream recipes, this is your one-stop shop. Lots to look at every single say! The Special Guest for the Week is Lindsay Clendaniel of the blog, Scoop Adventures. We're very excited to have her join us. 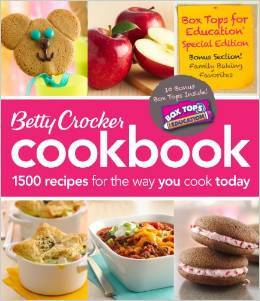 Lindsay is the author of the cookbook Scoop Adventures which is chock full of ice cream goodness. I made her recipe for peanut butter and jelly ice cream (but I left out the jelly) and posted it on my blog. I made it four or five more times after that, which is pretty amazing. I don't do a whole lot of repeats of anything. You'll find the recipe for Peanut Butter Ice Cream here. ... and come back every day to see the updated list with each day's participants! Here's my Coffee Ice Cream! When I test gadgets, I try to keep an open mind about who the target audience is, whether it's a family with kids or older folks with cranky hands. But when I tried Fante's Cousin Danielle's Expandable Dough Cutter , my first thought was, gee, I think they made this just for me. The first thing I used the expandable dough cutter for was making kouign amann, which requires a laminated dough to be cut into 4-inch squares. Some people might be able to perform this task with precision, and maybe even by eye. But I've never been able to cut a decently straight line, whether it's for pastry, for pasta, or for wrapping paper. The dough cutter doesn't help with the wrapping paper, but it's great for pastry and pasta. It has five cutting wheels, so you can cut up to 4 strips at a time, and adjusts to cut dough in widths from 3/8 inch to just shy of 5 inches. A simple wing nut holds the cutters at the set width. Besides being able to set a precise width for cutting, the wider stance from multiple wheels means that there's less of a chance of making wobbly cuts - the wheels want to roll in a straight line rather than wandering off to make curvy cuts. I have to admit that with some gadget reviews, I have to go out of my way to use the products enough to give them a decent test, but this is one that I've been using regularly since it arrived. After the kouign amann, I used this for cutting strips of pasta to make cavatelli. After that, I used it to cut biscuits. If I had one thing I'd change on this cutter, it would be finding a slightly larger wing nut for a better grip when setting the cutting width. but that's a minor thing. And if I poke around in the garage, I'll bet I could find a wing nut I could ... ahem ... borrow. If you seldom make pasta or precise pastries, you probably don't need one of these. A pizza cutter, pastry cutter, or sharp knife works well enough for occasional use. 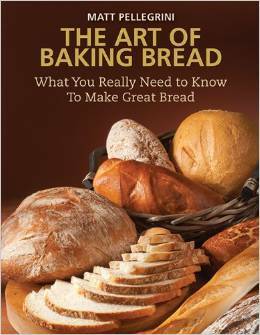 But if you make a lot of bread sticks, noodles, or pastries, this makes the job a lot more precise, and a lot faster. I was able to cut my 12 4-inch squares of kouign amann pastry with just two cuts, and the squares I cut were actually square. Who's it for: People who often work with dough. Pros: Straight lines! Fewer cuts! Cons: Obviously, people who don't work with dough a lot aren't going to be very excited about this. Source: I received this from Harold Import Company; they also supplied one for a giveaway, which is now OVER. It's your lucky day. I'm participating in the Anolon "Start From Scratch" campaign, where I created a barbecue recipe - sauce made completely from scratch - and, I have a giveaway for you. I made a fantastic barbecue sauce and a pork roast that was used to make sandwiches. Go check out both recipes, hmmmm? I own several pieces of Anolon cookware from different product lines, and I have to say that the Advanced line is pretty sweet. It's nonstick, but it's also safe for use with metal utensils. But I have to say that with the advent of high-heat silicone spatulas, I seldom use metal utensils in any of my cookware. But it's good to know that if someone else decided to use a metal spoon to stir a sauce, my cookware would be safe. I have a few different pieces from this particular line that I use ... maybe not daily, but really, really often, including a saucepan that almost ne ver leaves the stove zone. And, the color is classy, with the dark gray and silver. It just looks good on my stove, and it cleans up easily, both inside and out. For more about the recipe I made, go look at COOKISTRY. The complete recipe that goes with this post will be on Anolon.com. How cool is THAT??? About this campaign: Anolon sponsored the Start from Scratch campaign to encourage home cooks to consider making a wider range of foods from scratch From August 13-31, Anolon's Facebook, Twitter, and Pinterest social media sites will promote the campaign, with opportunities for you to win Anolon cookware prizes. There is also a special 20 percent off promotion on Anolon open stock items available at Macy’s. I am a paid participant in this campaign. Enter below. If the widget doesn't load, give it a few seconds. If that doesn't work, try reloading this page. The giveaway is also available on my Facebook page. I don't have any tots running around, but that doesn't mean I don't have any small, but dishwasher-safe, items. When I first saw the OXO Tot Dishwasher Basket ($7.99) my first thought was not about baby bottles. It was about tips for pastry bags. And lids for small containers. 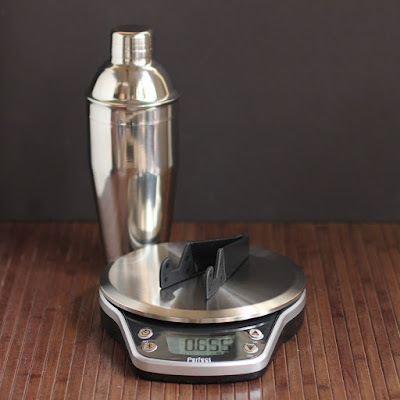 And tiny measuring cups. Well, actually, I was thinking that something like this should exist before I even knew that it did exist. I even thought about cobbling together a dishwasher basked from plastic berry baskets, but that seemed like more trouble than it would have been worth. Then I saw the OXO Tot dishwasher basket in a store, and I thought it was genius. My theory of dish washing is that anything that's dishwasher safe should be dishwasher-washed. I have to do plenty of hand-washing of things that are too large to fit in the dishwasher or that can't be safely washed in there. The idea of hand-washing things just because they're small ... well, that just doesn't make me happy. But small items tend to fall through the racks or flip and fly around, or otherwise become a nuisance. So I hand wash them and grumble. Or I used to hand wash and grumble. Now, I shove them into the OXO Tot basket and toss that into the dishwasher. The basket has some odd little racks that I'm guessing are supposed to be for baby bottle parts, but after re-positioning the racks, they're perfect for holding pastry tips in place. There's plenty of space for other small items, like the lids for small storage containers that tend to wind up at the bottom of the dishwasher, no matter where I wedge them before washing. The other great thing about using this basket is that all the small items can be removed from the dishwasher in one fell swoop rather than picking up that multitude of small pieces that are scattered all over. And the other great thing is that if those little parts are a little too goopy to go right into the dishwasher, you can put them into the basket and rinse the whole thing rather than rising each individual item. Much faster and easier. The only issue I had with the basket was that I had a little difficulty finding a good spot to perch it in my dishwasher. The racks in my washer didn't want to accommodate it at first, but with a little encouragement, I found a suitable location. I don't use this basket every day, but the washing of small items tends to come in batches, and every time I use it I grin a little bit because I know I won't be hand-washing and rinsing all those fiddly little items or losing them in the dishwasher or down the garbage disposal. Because, yes, that has happened, too. 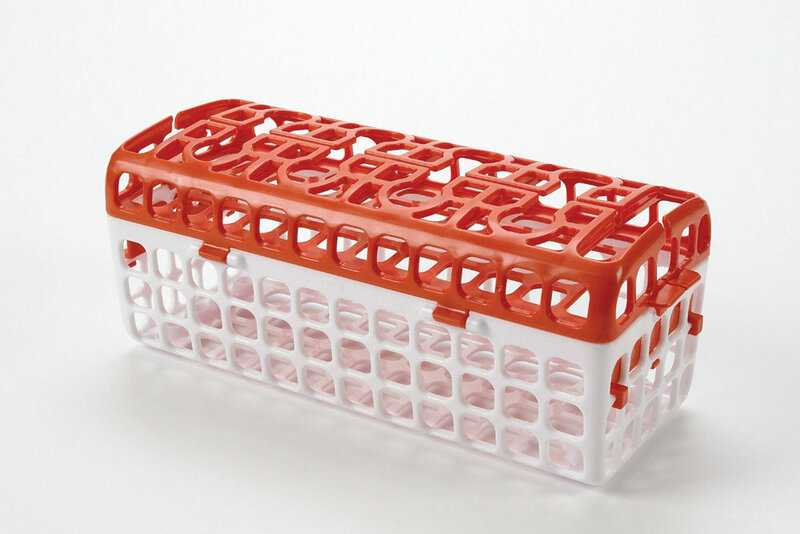 The OXO Tot dishwasher basket is ... (wait for it ...) dishwasher safe. Yeah, I had to say it. Who's it for: Anyone who washes small items in the dishwasher. Pros: Keeps all those little pieces in one place - and not in the bottom of the dishwasher. 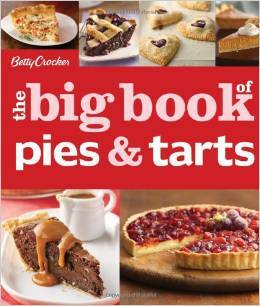 I found it very useful for pastry tips, among other things. Cons: Depending on your dishwasher configuration, you might need to be creative in finding a place for it to fit neatly. I think it would be great if this had a few more configurable racks or dividers, but that's a wish rather than a complaint. Source: I received this from OXO for review at no cost to me. These instructions are based on the instructions that came with a Le Souk Ceramique clay tagine that I received from the very generous folks at StyleVisa, but these instructions might also be useful for similar glazed clay cookware. Of course, if you received instructions with your cookware that's different, use those instructions. First, soak the base and lid in cold water for 12 to 24 hours. I found it easiest to leave it in my kitchen sink overnight. Remove the pot from the water and let it air dry for a few hours. Rub the inside of the base and the inside of the lid with olive oil. Place the base and lid in a cold oven, heat to 300 degrees, and let the pieces bake for 2 hours, then allow it to cool, either in the oven, or on a folded towel or on a wooden surface rather than on a cold surface - particularly not on something like a stone countertop. The thermal shock of the hot pot on the cold surface could cause the pot to crack. Once the pot has cooled, it's ready for use. Your shouldn't need to re-season the pot if you use it regularly, but if you let it sit for more than 2 months without using it, you should re-season. The color of the pot might change with use - that's a normal part of the natural seasoning that occurs over time. The pot should be hand-washed. Always allow it to cool completely before washing - NEVER put a hot pot into water, or you could crack it. And that's it, really. These tagines seem delicate, but they're actually pretty sturdy as long as you don't shock or drop them. Treated well, a tagine should last a long, long time. It seems odd that you can use clay cookware on a stovetop, right? But you can - if the cookware is made for stovetop use, AND if you treat it the right way. The Le Souk clay cookware can be used on the stovetop over very low heat, or in the oven. If you're using it on the stovetop, it's a good idea to use a heat diffuser. No diffuser? I used my cast iron pizza pan to even out the heat from my gas stove. For a recipe using this tagine, check out this post on COOKISTRY. Who's it for: People who like pretty, unique cookware and servingware and who want to try authentic tagine cooking. Pros: Easy to care for and decorative. Even if you never cook in it, the tagine makes a great serving piece, and the lid will help keep your food warm. Prices are very reasonable, considering these are hand-made. Cons: Breakable. If you're a klutz, be very careful. Source: I received the tagine for my use from StyleVisa, and they are also providing one for a giveaway. Note: Since these are hand-made, colors and designs might vary a bit from what you see online. The one I have appeared to be a mustardy color online, but in reality, it was more of a brick color. The good news is that I like the color I got better than the color I saw online. Check out Cookistry for a tagine recipe using the pot I received. It seems that securing pot-stirring utensils is a universal problem, and The Snug is a new product that's designed to solve that problem. Unlike the utensil clips that clip to the rim of a pot, The Snug ($9.99/3 or $14.99/6) slides onto the handle of the utensil. Then, you can clip The Snug onto the side of the pot, or just use it to keep the utensil from sliding into the pot or bowl. Since The Snug is made from silicone, it insulates the utensil from the heat of the pot (if you actually clip it to the pot rim) while keeping the stirring end perched over the pot. The idea is that you won't burn or melt the handle of your utensils from contact with the side of a hot pot, you won't be grabbing onto a hot handle when it's time to resume stirring, and you can keep that goopy, dripping spoon attached to the pot - no need for a spoon rest. The Snug can be attached to serving utensils to keep them from sliding into the dish. I know I've had this issue before, with a serving spoon sliding elegantly down into an oval dish and sinking calmly under the surface of the baked beans, like the Titanic of spoonkind. If guests would notice how The Snug can attach to the side of a bowl is debatable, but just having it attached to the handle of the serving spoon should be enough to keep it from sliding completely into the dish and drowning. Whether The Snug's colors would fit the scheme of your dishware is another story. The bright colors might not work with the fancy dishes, but they'd be fine for a more casual or colorful party. The Snug comes in two sizes to fit a pretty wide range of utensil handles. The smaller one was able to hang onto a typical dinnerware fork and I managed to entice a wooden spoon to fit the small one as well, while the larger one gripped a more hefty handle. I had a few larger-handled spoons that were too large to fit, but the majority of my spoons and spatulas fit one of the two sizes. While I expected that The Snug would grip onto my normal cookware, I was pleasantly surprised to see that it fit onto two stockpots that have a lip around the top edge. In fact, I couldn't find a single pot that they wouldn't hang onto. I have a whole lot of spoons and spatulas with melt-marks or burns caused by me leaving them resting in a hot skillet. While that doesn't render them unusable, I grumble every time I have to scrape the melted plastic off of my cookware, and some of the handles look pretty awful. So I'm more than happy to try a product that will save me from myself. The question, of course, is whether I'll actually dig these out of the black hole of a drawer to clip them onto utensils. The answer, since they grip so well, is simply to clip them onto my utensil crock where I'll remember to use them. The Snug utensil holders are dishwasher safe. Who's it for: Useful for pretty much anyone who cooks. They're not a necessary item, but they're useful. 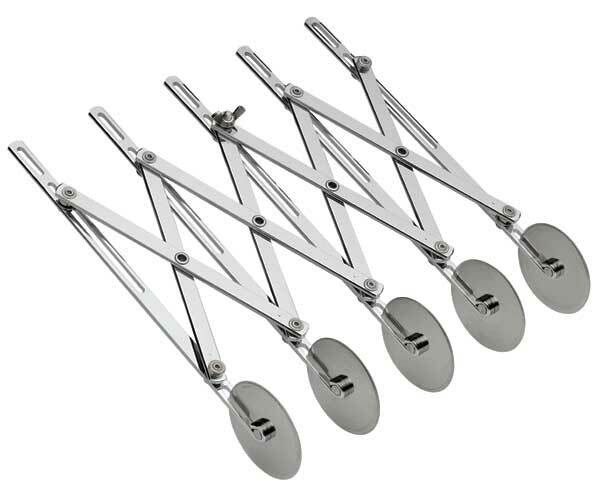 Pros: They work the way they're supposed to - I've grabbed them a number of times, mostly to keep utensils from sliding into larger pots or bowls. Durable. Easy to clean. Cons: There are a multitude of products that perform a similar function. Whether this is the best option is going to be a personal preference. The hardest part will be remembering to put these on the utensils. If you don't take them out of the drawer, they're not going to do you any good. These instructions are for seasoning a cast iron grill pan, which is slightly more challenging because of the grooves. But, really, it's the same method for seasoning pretty much any piece of raw cast iron cookware. 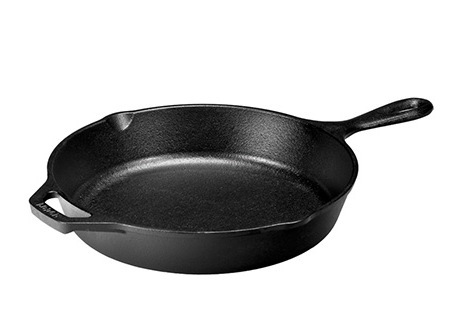 Some cast iron comes pre-seasoned, and some has an oil coating that keeps it from rusting while it's waiting to be purchased. I've tried a number of different oils for seasonings, and most of them are fine. I don't suggest extra virgin olive oil because it has a low smoke point. I don't like canola oil, because it tends to get gummy. Vegetable oil, peanut oil, grapeseed oil, or a solid fat like vegetable shortening works fine. Use any oil you like. Really. It's not a deal-breaker. For this pan, I used Crisco. Start by melting some Crisco in the pan (or pouring in a little of your liquid oil, if that's what you're using) and brushing it all over the inside. You want a very thin coating, not puddles. 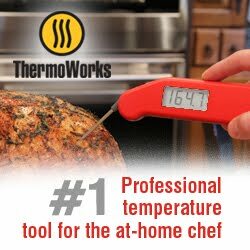 Let it heat until it's smoky hot, then put it into an oven set at 450 degrees. Brush oil on the outside of the pan as well. You can leave the pan right-side up, but I recommend baking it upside-down. The advantage of baking upside-down is that you won't have puddles of oil accumulating in the pan, and it will season more evenly. Bake for an hour at 450 degrees. Note: it's a good idea to have something under the pan to catch any drippy oil, or you're going to hate me. A sheet of aluminum foil on the rack below the rack the pan is on will be just fine. I have an oven liner that sits on the bottom rack of my oven, so I just put the pan in the oven and let it rip. Yes, it gets smoky, but it's not terrible if you don't open the oven to peek. Turn your stove hood on or have a window open. After an hour or so - it's not an exact thing, a little longer isn't going to hurt anything - turn off the oven and let the pan cool. You can leave it until the next day, if you don't need the oven for anything else. Keep in mind that cast iron retains heat. An hour after you turn the oven off, you'll still need mitts to handle it. You don't need to leave it in the oven until it's completely cool - you can remove it from the oven and let it cool anywhere that's convenient. DON'T be tempted to speed the cooling by dousing the hot pan in cold water. A cast iron pan is nearly indestructible, but there can be imperfections in the metal because of the way the molten metal is poured - like you see veins and layers in rock. Thermal shock can cause a cast iron pan to crack along one of those lines. And it will make a loud noise that will scare the the heck out of you. Don't ask how I know this, mkay? When the pan is cool, scrub it with hot water and kosher salt to remove any oil residue. Don't use soap. The grill pan you see above, when I first got it, was a silvery-black color and if you ran your finger across the ridges, you could feel sandpaper-y sharp(ish) bumps. This is completely normal. It's what happens when a pan is cast rather than spun, molded, pressed, or stamped. Can you tell I used to work in a metal-related industry? The great thing about cast iron pans is that they're relatively inexpensive, nearly indestructible, and once they're well-seasoned, they're pretty much non-stick. I have another grill pan that's got an enamel coating, , but it's not nearly as non-stick as this one is, and I've only seasoned this one a few times - it will get even better with age and use. You can use your pan after the first seasoning, if you like, but I usually season two or three times before I use the pan for cooking, unless I'm planning on cooking super-fatty foods in it right away. Like bacon. Or shallow-frying some chicken. Which I wouldn't be doing in a grill pan. So I seasoned it again. After the first seasoning of this grill pan, it was a brownish black rather than silver-black. If you looked at it by itself, you might say it was black. But next to a well-seasoned pan, it was definitely a little brown. The surface was a little slicker and smoother than before. I seasoned it one more time, brushing on a thin coating of vegetable oil. Like I said, it really doesn't matter what oil you use, as long as it's edible. Again, it went into the oven upside-down for an hour at 450 degrees. I let it sit in the oven until it cooled, and scrubbed it with a little kosher salt again - I find this is the best way to clean any kind of cast iron pan. The pan was slightly darker, and if you brushed your finger on the ridges, it was smoother. At this point, the pan felt like it had an enamel coating on it. There were still bumps, but the sharp-feeling sandpapery points were gone. The pan didn't feel greasy or sticky - just smooth. And drops of water beaded up on the surface. That's what we're looking for. At this point, I deemed it ready for cooking, so I grilled some burgers. Nothing stuck to the pan, even when one of the burgers had a slight cheese-oozing problem. Mission accomplished. But just for the heck of it, I gave it one more oil-and-bake in a 450 degree oven. And NOW the pan is just about as black as my other cast iron pans. Once your pan is well-seasoned, you don't need to do much to it, particularly if you're using oil to cook your food, or if the food itself is fatty (like bacon). Just wash with hot water and scrub with a brush or sponge with bit of kosher salt. If the pan is new and the seasoning is a bit thin, you can brush it with a little oil after washing and heat it on the stove until it's hot. Then let it cool and wipe the oil residue out with a paper towel. When the seasoning is well established, just wash the pan with hot water and scrub with salt if it needs it, and make sure it's completely dry before you store it. But even with my well-seasoned pans, I sometimes give them a little oil-and-heat before storing, just to make sure I'm not losing any seasoning. If the seasoning on your cast iron pan ever gets damaged (although I'm not sure how you'd do that) you can remove the coating by putting the pan into your oven while it's self cleaning. Or in your grill, maybe, if it gets hot enough. I've heard of doing that, but haven't tried it. This will burn off all the seasoning, and you'll need to start from scratch again, working quickly because once the coating is completely gone, the pan will want to rust. So at least get a coat of oil on it. The only reason I can think of where I'd remove good-looking seasoning from a pan is if I bought one from a flea market or garage sale and I was concerned about what might have been cooked in the pan or what it was seasoned with. Burning off the seasoning in the pan would remove all traces of the old owner, which could be a good thing. If you inherit a nicely seasoned cast iron pan from grandma, and she's not prone to cooking with motor oil, then there's probably no reason to ruin decades of hard-earned seasoning. Right out of the box! So pretty! First, I have to say that Le Creuset's new stainless line is gloriously pretty. Shiny. Mirror-like. It's going to be very durable. And ... it's still going to be really pretty even after it's seen some use and it's got some age on it. There's something about well-used cooking equipment that makes it appealing, because you know someone spent time with it. When I first got the 9-quart stockpot (with the steamer insert ... squeeee!) I was almost afraid to use it because it was sooooo pretty, but then ... I had to. That's what it's FOR. So, I started getting it dirty. The funny thing is that the first time I lifted the pot, I almost threw it to the ceiling. Not that it's a lightweight pot, but I see that LeCreuset design on the lid and my brain thinks "cast iron" and my muscles gear up to lift something super heavy and ... wheeee! The pot made from tri-clad stainless, and the bottom is definitely thicker and heavier, but overall, it's liftable. Or it is when it's empty. Fill that sucker with water and you've got some water weight to contend with. Because of the heavy bottom, it cooks evenly, which is a big deal. Cheap cookware tends to have hot spots where food tends to stick and burn. When I first started cooking on my own, I didn't think pots made that much difference and I used some pretty cheap stuff. When I got my first good piece of cookware, I was amazed at how different it was. I didn't have to hang around and stir as much. And I didn't burn as much food. I absolutely love the lid on this pot. First, there's the look. 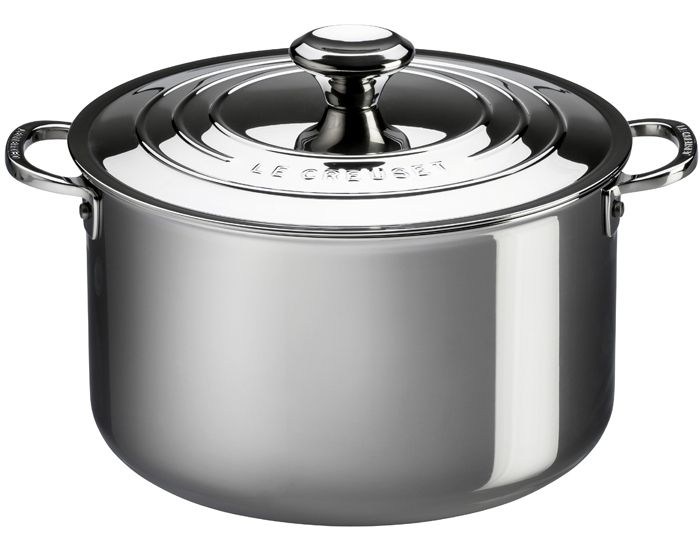 It's got that distinctive Le Creuset design, which I think looks pretty awesome in shiny stainless. But it's not just the look. It's designed so that drips go back into the pot, and it holds steam in really well, too. Between the heavy bottom and the ability to hold in steam, you can put this on simmer and it can cook for a long time with little attention. Another really, really cool thing about this pot is that the inside is etched with measurements up to 7 quarts, which is probably where you want to stop filling it, if you're a sane person. It will hold 9 quarts, but if you're going to be cooking and stirring, you need some empty space. It's nice to see how much stuff you've got in the pot, whether you're filling it with water, or you're checking how much something has reduced. The steamer is pretty sweet, and if you're going to spend the money for a pot like this, consider the steamer, since it will make the pot even more versatile. I have a few pots that came with steamer inserts, and some are better than others. Some go nearly to the bottom of the pot, so they're more like pasta inserts. Not great for steaming, since anything at the bottom of the pot will be sitting in water. Or you can only add an inch or two of water. And that's not what you want. I have other pots where the steamer insert is really shallow, so you can't put a whole lot of food in it. These sit at the top of the pot, so I guess you could be cooking a stock in the bottom and steaming some corn on top - but who does that? It's just silly. The steamer for the Le Creuset pot is far enough from the bottom of the pot so you can put a decent amount of water in there before it reaching the level of the food in the steamer. 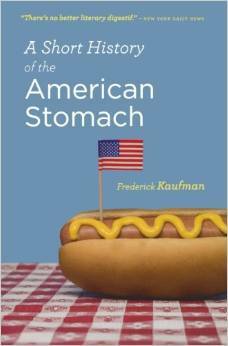 And the steamer itself is deep enough so you can steam a reasonable quantity of food, and not just a couple hot dogs. After using this pot for a while, there's really nothing bad I can say about it, except that it's expensive. But you get what you pay for. This should last a lifetime ... and get handed down. 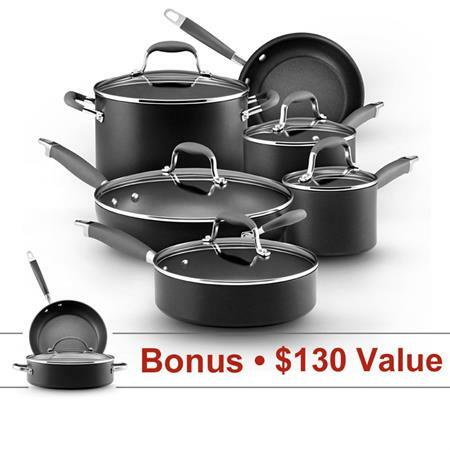 Who's it for: People who like quality cookware from reliable and well-known brands. Pros: This is going to be the sort of pot that you'll pass down to your children. It's well made. Unless you run it over with a truck, I can't imagine how you could fatally damage it. Cons: Price. This isn't cheap cookware. It's an investment. Source: I received the 9-quart stockpot and the steamer from Le Creuset. They accidentally shipped an extra stockpot and when I informed them, they said, "don't bother sending it back." I could have kept it for myself, sold it, or given it to a friend, but I decided that a giveaway here would be so much more fun. 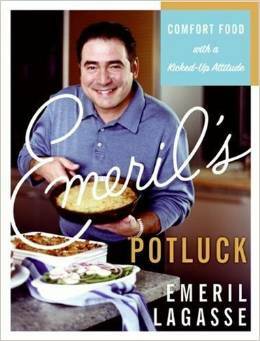 To see a recipe where I used this stockpot, look here.